Despite offering an endless tapestry of intriguing tales to draw from, the events of history remain criminally ignored by video games. Sure, exotic locations like ancient Egypt and decades-old wars occasionally serve as flashy backdrops for modern action, but too few games try to convey what life was really like in a historical time and place. 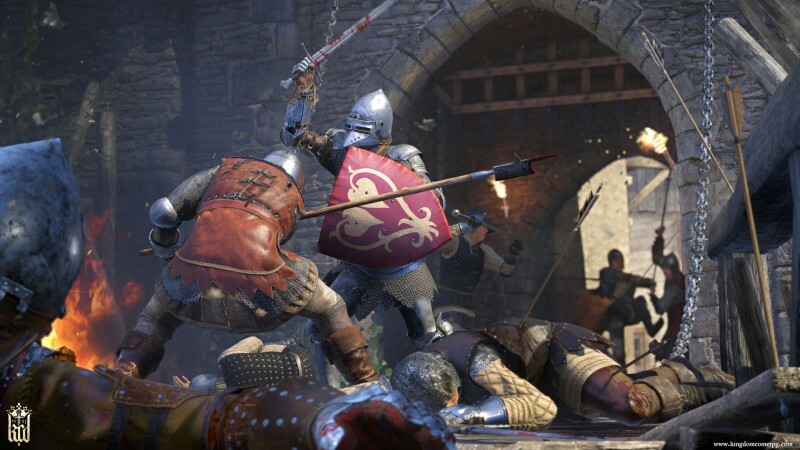 Kingdom Come: Deliverance eschews the fantasy tropes of other open-world RPGs in favor of the real-life characters and conflicts of 15th century Bohemia. Unfortunately, the engrossing feudal adventure awaiting players is brought to its knees by a needlessly restrictive save system and a litany of game-breaking bugs. One of the most successful outcomes of Kingdom Come's focus on realism is the story. Instead of guiding an almighty warrior to predestined greatness, you play as the unassuming son of a blacksmith whose world is turned upside-down when an invading army pillages his village. 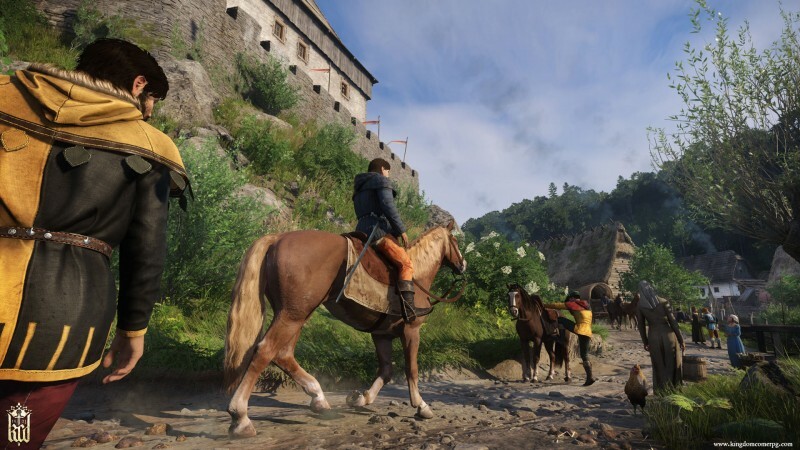 Kingdom Come succeeds in not only conveying the historical events of its small slice of European history to the player, but doing so from a peasant's perspective; much of the political dealings affecting the fate of Henry's home country are entirely out of his control. The best he can do is serve Sir Radzig Kobyla and a small council of other Bohemian lords, while hoping their efforts to retain power intersect with his own thirst for vengeance. 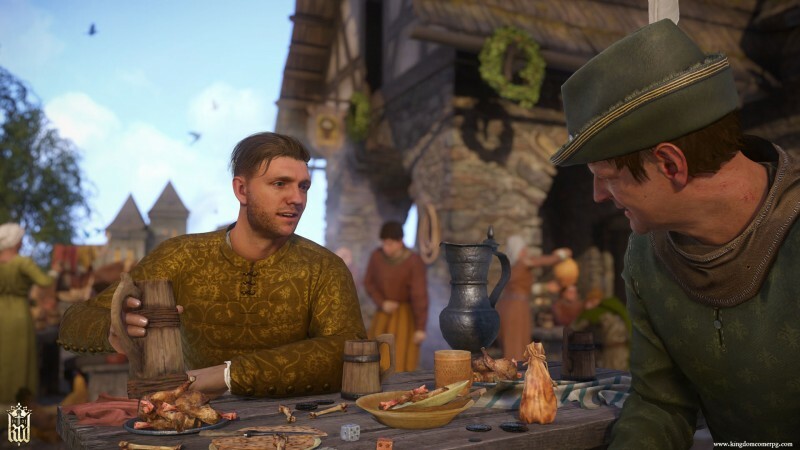 Henry's limited means make Kingdom Come's story feel personal in a way few games manage, and offer up plenty of meaningful choices and surprises along the way. Some quests take Henry on hours-long diversions, such as engaging in drunken reveries with a wayward priest, or entering a monastery disguised as a monk to track down a reformed bandit. The narrative is far from perfect (particularly the ending, which feels more like the cheap tease for a sequel than a thoughtful commentary on Henry's lot in life), but it kept me going. 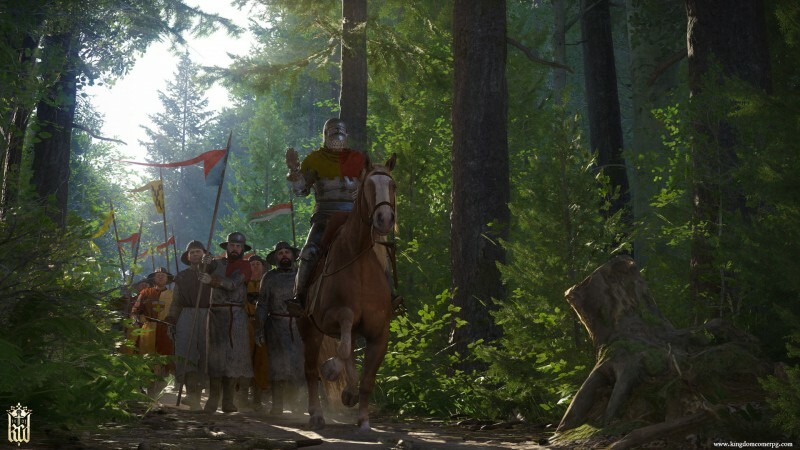 Kingdom Come's focus on realism also results in a variety of intriguing gameplay systems, from the absurdly in-depth alchemy system to the demanding combat that takes hours to fully comprehend. Every skill Henry can learn – be it lockpicking, weapon maintenance, or even reading – offers another rabbit hole to devote his days to. The perks you earn from progressing are less compelling, as many confer stat penalties in addition to whatever they're buffing, but I still enjoyed learning the ins and outs of every activity. Unfortunately, a few decisions made in the name of realism frequently drag Henry's adventure to a crawl. Kingdom Come's save system is downright draconian, requiring you to either drink an expensive and limited potion (that also makes you drunk), or track down and sleep in a bed you own just to back up your progress. The fast-travel system, meanwhile, is a blatant misnomer, as it requires you to watch an icon slowly travel to the desired location on your map, sometimes for 90 seconds or more. Waiting and sleeping also require staring idly at a wheel for no discernable reason, and are longer and more frequent than other RPGs that use the same convention. 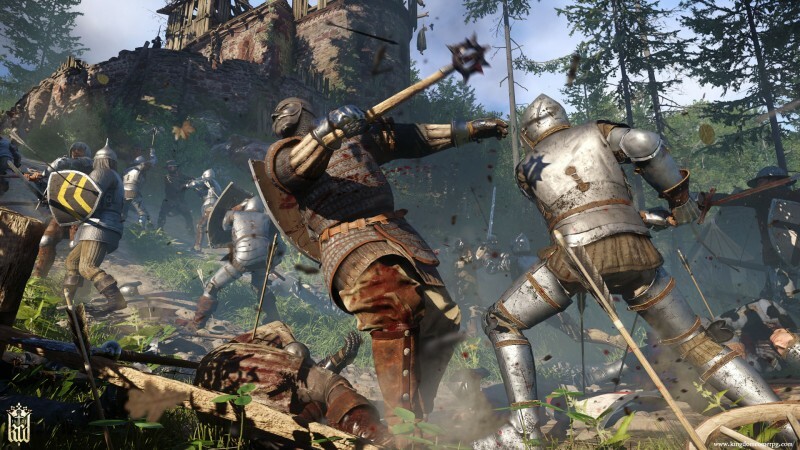 Kingdom Come's gameplay is already slow and laborious to begin with, and these systems add nothing to the experience except pointless downtime. Kingdom Come is not more challenging or intense or even more realistic because of these additions. It's just more tedious. The save system is elevated from "annoyance" to "fatal flaw" in the wake of the game's ultimate downfall: bugs. While my first 10 hours or so were relatively issue-free, the further I got, the more things fell apart. Collision issues left me permanently stuck in bushes, rocks, and other unstable geometry, requiring save reloads. I experienced over a half-dozen hard crashes, caused by basic actions like opening my map, pulling up the quest log, and unsheathing my sword. At one point the "surrender" prompt became a permanent addition to my HUD, forcing me to reload. Broken questlines consumed countless hours of progress, and in some cases compounded each other; I had one mission grind to a halt when an NPC was unable to sleep in his bed at an inn, because an NPC from a previous broken questline was still sleeping there. I lost four hours of progress in one session alone when the game inexplicably disabled saving of any kind. 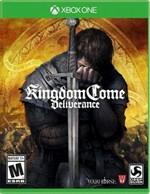 After logging more than 100 hours into Kingdom Come, I shudder to think how many more hours I lost to bugs. Simply put, this is the kind of game where you should be saving every five minutes to safeguard your progress – except you can't. Ultimately, Kingdom Come feels a bit like homework. If the historical setting and focus on realism appeal to you, then the deep gameplay systems and methodical pace are worth learning. If you'd rather be a magic-wielding wizard or the unequivocal hero, on the other hand, the source material will bore you almost instantly. Even if you are as in love with the premise as I am, however, the countless technical issues Kingdom Come requires you to suffer through land it in the stockade; until the developer brews up a comprehensive salve of patches and polish, you should avoid Henry's adventure like the plague. Despite a unique and engrossing premise, countless technical issues land Kingdom Come in the stockade.